County Farm Bureaus (CFB) are once again eligible for matching grants to reimburse activities that promote agricultural literacy and awareness. 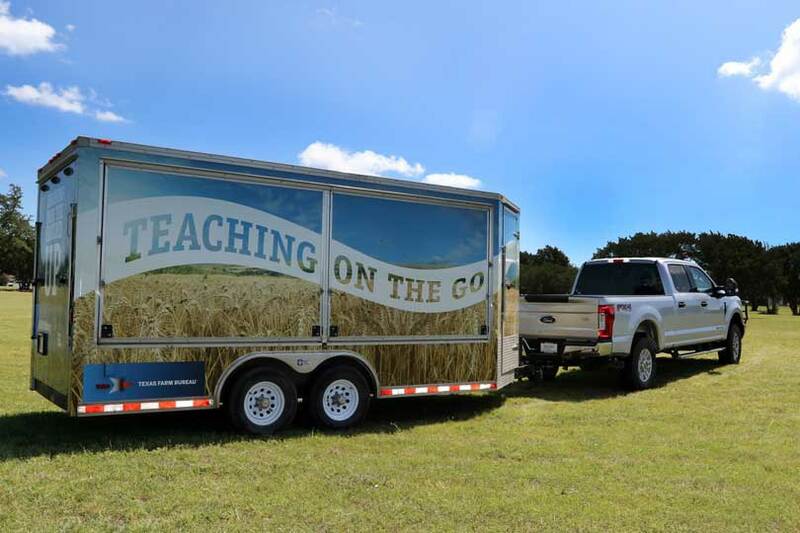 Texas Farm Bureau (TFB) will distribute funds up to $250 through the Ag in the Classroom (AITC) Matching Grant Program to CFBs that have encouraged agricultural education through programs or activities. Counties selected can receive a 50 percent reimbursement, up to $250, for expenses incurred on AITC programs and activities completed during Aug. 1, 2017, to July 31, 2018. To qualify for a reimbursement, counties must submit a completed application documenting how the money was used, the cost of the activity with receipts attached, schools involved, number of students and/or teachers who participated and a description of the activity. The deadline to apply for the 2017-2018 matching grant is Sept. 14. Applications will be reviewed and funds distributed beginning Oct. 1. Applications have been delivered to local county offices. Completed documents should be returned to the state office to the attention of Jett Mason, Organization Division. Contact Mason at 254-751-2569 or jmason@txfb.org with any questions.